Legal support – the way ahead? How much vision? I have already noted the outcome of the Post-Implementation Review of changes to the Legal Aid scheme contained in Part 1 of the Legal Aid, Sentencing and Punishment of Offenders Act (LASPO) 2012. While the Government clearly does not want to make major changes to the scheme, the review did reveal issues to which the Government clearly feels it must respond. In February 2019 it published Legal Support: The Way Ahead – An action plan to deliver better support to people experiencing legal problems. As a paper, it lacks the ambition or vision of other recent reports, in particular the Report of the Low Commission report on the future of legal services. But buried in the detail is a number of straws in the wind which are worth noting, even if they don’t make the heart race. The Paper starts by repeating the point that the Government already provides ‘£1.6 billion to the most vulnerable in society to ensure that they can access legal aid’. It seems to accept, however, that there are some who – at least in some circumstances – should receive legal aid who currently do not get it. The Paper states that the Government ‘will conduct a review into the thresholds for legal aid entitlement, and their interaction with … wider criteria’. This review will be completed by summer 2020. In the interim there will be changes to eligibility for some public family law cases, to be introduced in summer 2019. And, whilst the review is ongoing, the Government will continue with current arrangements to passport all recipients of universal credit through the legal aid means test. Addressing the problem that people do not know about their entitlement to legal aid, the Government states that it ‘will ensure that more people are aware of their entitlement to legal support – and will advertise its availability’. The stated aim is to launch the awareness programme by autumn 2019 – dealing not just with legal aid, but legal support more generally. The Government plans to make some changes to protect the most vulnerable. It will expand the scope of legal aid to include separated migrant children in Spring 2019. It also plans to bring forward proposals to expand the scope of legal aid to cover special guardianship orders in private family law by Autumn 2019. As regards Exceptional Case Funding, the Government plans to consider, by the end of 2019, whether the process for applying for Exceptional Case Funding can be simplified, and whether decisions can be reached more quickly. It will also consider whether it is necessary to introduce a new emergency procedure for urgent matters to access Exceptional Case Funding. The new Paper accepts that ensuring people can access the right legal support at the right time may help people resolve problems more efficiently and effectively. There is research evidence demonstrating how problems, if left undiagnosed and unresolved, can escalate, cluster, and lead to damaging cycles that are hard to break. However, the Government states that there is limited comprehensive research as to what works best, when, and for whom. Further, whilst it is often suggested that early intervention leads to cost savings, the financial and economic benefits of early advice are difficult to quantify with accuracy. The Government’s response to this challenge is that it wants to pilot and evaluate several different forms of early legal support. it will enhance the support offered to litigants in person. All these interventions will be researched to assess what is the best way to help and support those who need it, and whom should be assisted in the provision of legal support. The intention is that there should be outcomes from these initiatives by the end of 2019. The Government states that it will continue to work across departments to help to improve the quality of decision-making on legal rights. It has been noted on numerous occasions that if decisions are ‘right first time’ this should reduce the need to take cases on appeal. Key to the modernisation of the justice system is the need to ensure that forms and systems are as simple and straightforward to use as possible, and that the courts and tribunals service enables people to resolve their conflicts as quickly and early as possible. The Government wants to generate momentum in this area, but acknowledges that this is a first step. It will be important for the Government to continue open and collaborative working with experts over the coming years, identifying and evaluating new ideas. One specific commitment is that the Government plans to set up a Legal Support Advisory Network to make use of external expertise, shape research and evaluation proposals, and potentially explore new research opportunities and collaborations. 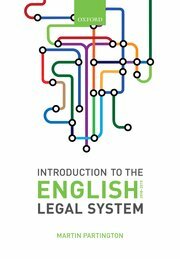 As a nod to the problem of whether or not there will be sufficient numbers of people entering this sector of the legal services market, the Government states it will ‘support practitioners to join the legal profession and continue to deliver high quality legal support to people across England and Wales long into the future’. Specifically there will be a comprehensive review of the criminal legal aid fee schemes and structures, to be completed by Summer 2020. February 2019 was a busy month for the Ministry of Justice.They published a large number of official documents relevant to the future of the English Legal System. First up was the long-awaited post-implementation review of the legal aid changes brought about by Legal Aid, Sentencing and Punishment of Offenders Act (LASPO), Part 1 which introducted major changes to the legal aid scheme. This is a very long document which concludes, broadly, that not much is going to change, at least in the short-term. deliver better overall value for the taxpayer. The Review concludes, in the light of large amounts of evidence it received, that Objective 1 was successfully achieved. In relation to objective 2, the outcomes are unclear. There has been a reduction in clinical negligence litigation, now funded by Conditional Fee Agreements rather than legal aid; but family law litigation is increasing – diverting cases to mediation has not worked. The Review ‘cannot say with certainty’ whether objective 3 has been successful, as there in insufficient evidence from those outside the scope of the current legal aid scheme. They also cannot reach any conclusions regarding Objective 4. Scope changes undermining value for money: LASPO removed many areas of early civil and family legal advice from the scope of legal aid, restricting it to the most serious cases. It is argued this lack of early intervention in social welfare and private family law generate wider costs as relatively minor legal problems can escalate and cluster into more serious problems. People who need legal aid cannot access it: LASPO did not substantially reform the financial eligibility requirements but lots of evidence was submitted arguing change was necessary. Exceptional Case Funding is not working: There were lots of criticisms over how the scheme operates. Fees for legal aid work are inadequate: Many practitioners, especially in criminal law, have argued this is affecting recruitment and retention, potentially creating future problems in provision. Increases in litigants in person generating costs: by removing funding for legal representation the volume of self-representing litigants has risen. Advice deserts: people may not able to access advice due to geographical remoteness, or a shortage of supply in their given area. There was never going to be any chance that, despite the difficulties of assessing whether the objectives for the original legislation had been met and all the other issues the Review identified, the cuts made by LASPO would be restored. The Government has, however, taken modest steps which are worth noting and will be considered in future blog items. The Legal Services Board has just (November 2018) published its latest detailed picture of levels of innovation and use of technology in legal services in England and Wales. ABS, newer providers and larger providers have higher levels of service innovation. Although putting a positive spin on the outcomes of the survey, I cannot help thinking that the LSB may actually be rather disappointed at the outcomes of the survey – given all the talk that there has been about the importance of innovation and new technologies. My impression is that change is happening, but that it will much longer for the full benefits claimed for the use of new technologies to be realised in practice. The Legal Aid Sentencing and Punishment of Offenders Act 2012 (LASPO) was a multi-faceted piece of legislation, dealing with a number of issues of great importance to the English Legal System. Part 1 of the Act made provision for major cut-backs in the provision of legal aid. This is now the subject of a Post-Implementation Review (PIR), being conducted by the Ministry of Justice. A Post-Legislative Memorandum on LASPO was written and published by the Ministry of Justice in October 2017. This set out preliminary views on how the Government thought the reforms were working. This was to be the first step to further inquiry. I noted the launch of the PIR into Part 1 of LASPO here in March 2018. A brief progress report was published by the Ministry of Justice in June 2018.
the advice and third sector. ..
Further consultative group meetings have been scheduled later in the year with a focus on how individuals navigate through the justice system at present. In addition, the review team have been meeting a wide variety of interested parties on an individual and small group basis, in order to gather a broad range of evidence of the impact of the changes to the provision of legal aid made under LASPO. Through all forms of engagement, the review team has so far met with over 50 organisations in order to discuss the impact of LAPSO and many more meetings are planned for the coming months. Alongside meetings with interested parties and to ensure our review is as informed as possible, the review team is also accepting submissions of evidence. The deadline for the submission of evidence is this month (September 2018). It seems unlikely that the final decisions arising from the review will be published before 2019. I stick to my prediction that major change to the legal aid scheme is unlikely to be an outcome of the review, but I would be happy to be proved wrong! It may also be noted that the Justice Committee has published a report on the impact of changes to the criminal legal aid scheme on practitioners. This urges a full review of Criminal Legal Aid, to start no later than March 2019, to be informed by the work currently being undertaken in the PIR. The Government has yet to respond to this report. A great deal of effort is currently being put into finding ways of using IT to deliver legal services, whether in the form of: providing legal advice and assistance to those who need it; conducting various types of legal activity/process on-line; dealing with disputes online. In general, the modernisation of the practice and procedure of the law through IT is to be welcomed. At the same time, there are concerns that some of the most vulnerable in society may be excluded from this brave new world. They may not have easy access to computers, or the ability to use them. In rightly encouraging digital solutions, at the same time policy makers need to ensure that the most vulnerable are not left behind. In a recent policy paper, the human Rights group JUSTICE has drawn attention to the importance of ensuring that people are not excluded from the rapidly developing digital legal world. In their report Preventing digital exclusion from online justice (published in June 2018), they analysed the potential issues that those engaged in the reform of legal procedures need to bear in mind. Greater investment in “trusted faces” in “trusted places” i.e. services already providing digital support and internet access. Paying specific attention to highly digitally excluded groups, like homeless people and detainees. Designing online justice services with an independent “look and feel” to reflect the constitutional independence of the courts. Maximising the benefits of the “multi-channel” approach – helping people move with ease between digital access, phone assistance, face-to-face assistance, and paper. Ensuring online justice services cater for the most affordable and ubiquitous mode of digital interaction: mobile technology. Conducting end-to-end pilots of online justice services, learning from hearing and enforcement stages what is required at earlier stages. Researching how people behave in an online environment and choices between Assisted Digital channels. Collecting and making available the widest range of data possible to support research by external experts. Internationally, there is a great deal of experiment going on with different forms of communicating advice and assistance. There are being kept under review by Professor Roger Smith who, with funding from the Legal Education Foundation, provides – among other things – an annual review of development in the use of IT to increase access to justice. He also writes a blog which looks in mor detail at specific initiatives relating to trying to improve access to justice – not just through the use of new technologies but also new ways of funding them such as crowd funding. For those interested in how the application of new technologies might change ways in which the delivery of legal services are undertaken, this is an outstanding resource – full of links to detailed initiatives. At the same time, the need for realism in potential impacts is also stressed. It is important not always to believe the hype surrounding new applications. The JUSTICE report is at https://justice.org.uk/new-justice-report-on-preventing-digital-exclusion/. The Annual Reviews of digital delivery of legal services can be found at https://www.thelegaleducationfoundation.org/digital/digital-report. Also relevant is the report, published in July 2018, from the Centre for Justice Innovation, which also looks at public attitudes towards the greater use of IT in the justice system. The Competition and Market Authority Final Report on legal services was published in December. Its interim report was noted in this blog in July 2016. The CMA found that competition in legal services for individual and small business consumers is not working as well as it might. In particular, there was a lack of digital comparison tools to make comparisons easier for consumers. Lack of competition meant some providers can charge higher prices when substantially cheaper prices are available for comparable services. In response to these findings, the CMA set out a package of measures which challenges providers and regulators to help customers better navigate the market and get value for money. These changes were drawn up after discussions with key stakeholders, including the 8 frontline legal regulators, and will be overseen by the Legal Services Board, which will report on progress. A requirement on providers to display information on price, service, redress and regulatory status to help potential customers. This would include publishing pricing information for particular services online (only 17% of firms do so at present). Revamping and promoting the existing Legal Choices website to be a starting point for customers needing help, information and guidance on how to navigate the market and purchase services. Facilitating the development of comparison sites and other intermediaries to allow customers to compare providers in one place by making data already collected by regulators available. At present only 22% of people compare the services on offer before appointing a lawyer. Encouraging legal service providers to engage with feedback and review platforms to ensure that customers can benefit from the experience of others before making their choice. Recommending that the Ministry of Justice looks at whether to extend protection from existing redress schemes to customers using ‘unauthorised’ providers. In addition, the CMA considered the impact of legal services regulation on competition. The CMA found that whilst the current system is not a major barrier, it may not be sustainable in the long term. In particular, the framework is not sufficiently flexible to apply proportionate risk-based regulation which reflects differences across legal services which could harm competition. The CMA therefore also recommends that the Ministry of Justice reviews the current framework to make it more flexible and targeted at protecting consumers in areas where it is most needed. The Legal Services Board has welcomed the report and announced that it will publish its response in due course. The Ministry of Justice response is also awaited. Not all legal services are provided by lawyers or legal executives who are regulated by their professional bodies. There is a group of legal service providers who are not authorised and regulated under any legal sector specific legislation, but who are providing legal services for profit and as a significant focus of their work. The Legal Services Board has recently (June 2016) published research on the work of this sector of the legal service market. The research looked in detail at will-writing, online divorce and intellectual property. For profit unregulated providers make up a small proportion of the legal services market. In the individual legal needs survey, they represented 4.5-5.5% of cases in which consumers paid for advice or representation. In contrast, not for profit providers, most of whom will be unregulated, accounted for approximately 37% of all legal problems where advice was sought. Benefits for consumers include lower prices and greater price transparency compared to regulated providers, innovation and service differentiation, and competitive impact on regulated providers. The main risks to consumers relate to consumers not making informed choices and misleading advertising claims. The research did not assess the technical quality of work. Consumer satisfaction with customer service is broadly comparable across regulated and unregulated providers – 84% versus 81% respectively. More than half of consumers who instruct for profit unregulated providers are aware of their regulatory status. Of those who don’t check, a significant proportion do not do so because they assume that they are regulated. There is a limited potential market for voluntary regulation beyond existing trade associations given the size of the market and low appetite for such initiatives among providers. The for profit unregulated sector is smaller than expected, although in some segments these providers have gained a significant market share. Based on the evidence of benefits and risks to consumers and limited potential market for voluntary regulation beyond existing trade associations, the LSB will monitor developments but will not pursue a voluntary arrangement under the Legal Services Act. Consumers should be encouraged to check whether or not providers are regulated. In other words no active intervention for the moment. Notwithstanding these broad conclusions, the research did look more closely at the work of for profit unregulated providers in three areas: will-writing; divorce; and intellectual property, where not insignificant amounts of legal services work was being undertaken by unregulated providers – around 10% of the work. The dominance in the area of divorce by 5 on-line companies offering very cheap services can be particularly noted. My guess is that, so long as the unregulated sector provides cost-effective services, with which consumers are satisfied, the lack of regulation will continue. But if there is a highly publicised scandal, then the regulatory context will change.